Feeding the Hungry - Turkey Trot Proceeds at Work! Silverdale Rotarians - PEOPLE of ACTION! April 1-5 is Spring Break in the Central Kitsap School District, and kids are always excited for school breaks! But to some it means going hungry, as they do not have access to free or reduced breakfast and lunch. 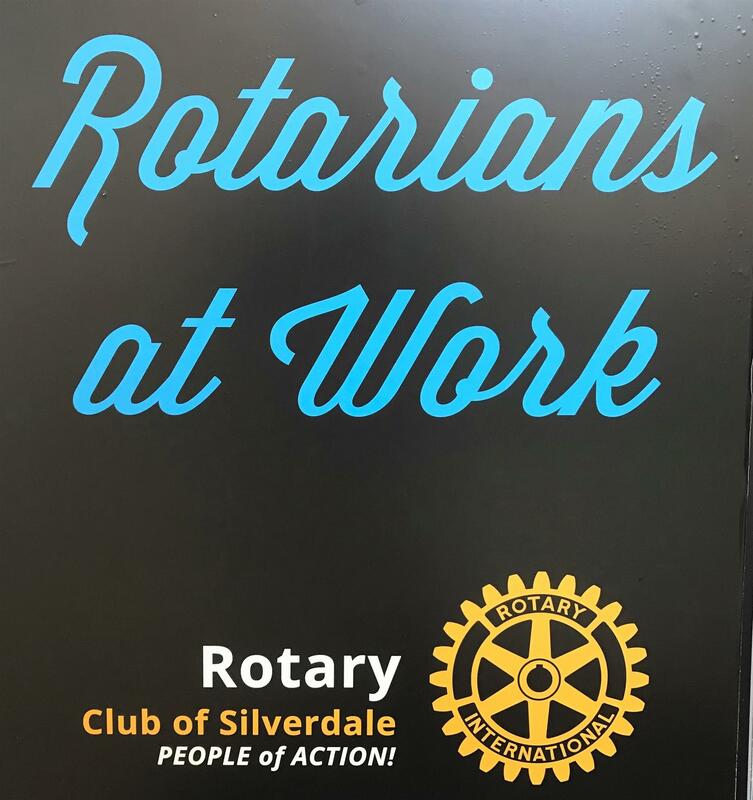 Knowing this, the Rotary Club of Silverdale met at the Kitsap Mall on March 28, and using funds raised by the Silverdale Rotary Turkey Trot on Thanksgiving 2018, filled 200 large bags of food and delivered them to 14 CKSD schools (Elementary, Middle and High School)! These schools were identified by the CKSD Homeless Liaison as not having a food backpack program already. 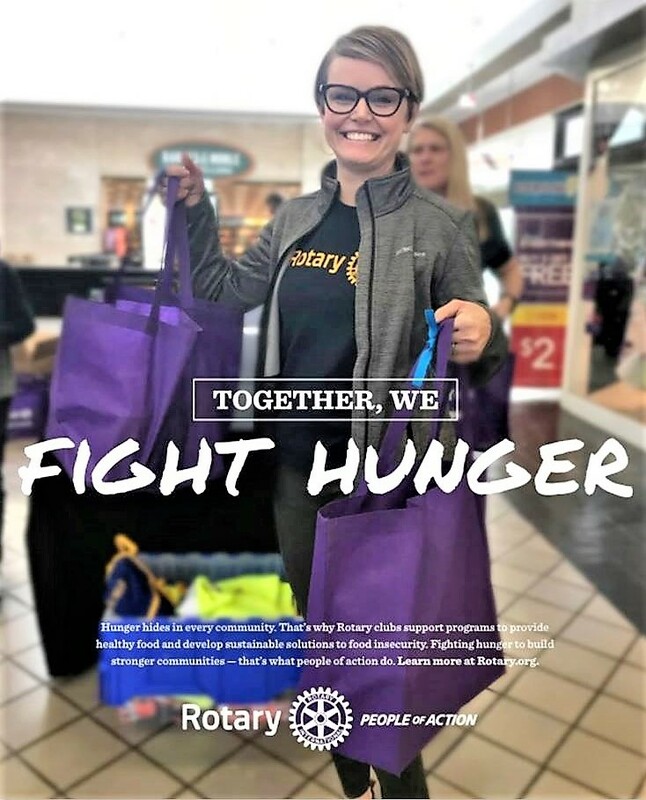 Rotarian Erin Leedham, Manager of the Kitsap Mall, worked with her Security and Maintenance teams to set up our food packing area inside the Mall. Rotarians Bob Cassis, Scott Shoemaker, Erin Leedham, and Christie and Ben Scheffer helped unpack and stage the food on tables so the assembly line would move smoothly and quickly. Rotarians pitched in to pack the bags, and Rotarians with strong backs ferried them to the loading dock. Thank you, Scott Shoemaker, David Jordan and Rick Soper for ferrying the bags, making countless trips to the dock! Rotarian Debi Brooks-Givens was in charge of the loading dock, counting the bags and directing them to the appropriate cars. She was assisted by Columbia Bank co-workers who pitched in to help. Rotarians then delivered the bags of food to 14 different schools. 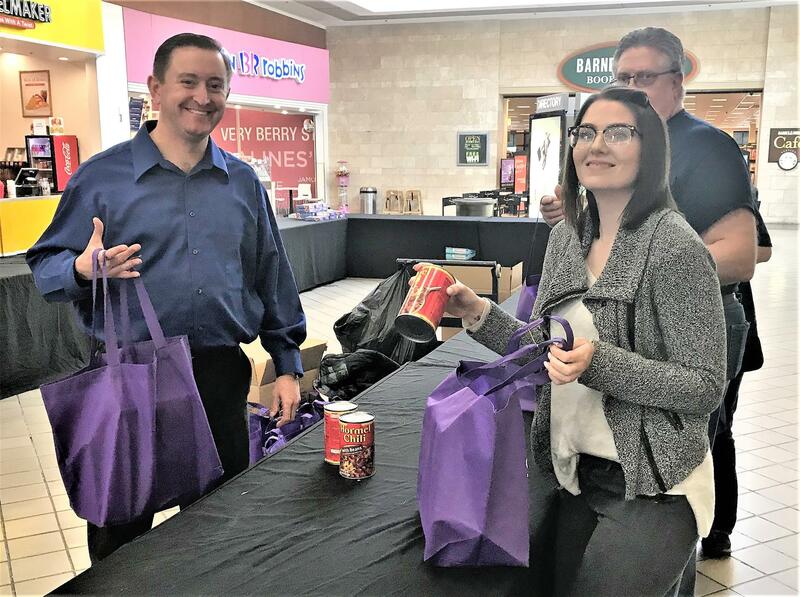 Thank you to our driver volunteers: Jim Dudley, Steve Slaton, Mechelle Hoerer, Scott Shoemaker, David Jordan, Erin Shannon, Jennifer Strong, Mariam James, Chuck Kraining, Matej Kunak, Ruby Peng, Rich Arper, and Frank Guthrie and his son. 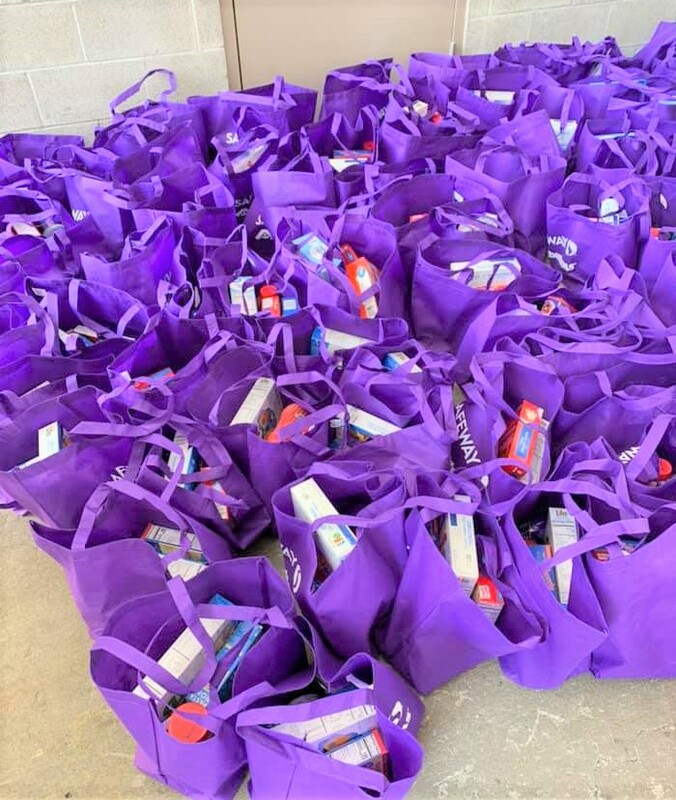 Reports are rolling in from these drivers that schools were ecstatic to receive the bags! We have additional food bags made up which we will donate to Coffee Oasis on April 4! A special thanks goes to our partner Safeway for donating reusable grocery bags! And again, we cannot thank the Kitsap Mall team enough for their gracious and enthusiastic help. They were amazing to work with. Thank you everyone for helping ease hunger in Kitsap County! We are making a difference!